At today’s 61st Annual Grammy Awards, the late Chris Cornell was awarded the Best Rock Performance for his solo track, “When Bad Does Good,” off his Chris Cornell boxset released last year, that included 11 unreleased songs. Cornell, who tragically passed away in 2017, beat out Greta Van Fleet, Artic Monkeys, Hailstorm, and Fever 333 for his posthumous Grammy win. During the ceremony, Cornell’s two children, Toni and Christopher, ascended the stage to accept the award on their father’s behalf. Their emotional acceptance speech moved the crowd, with Christopher honoring his late dad, “He was a rock icon, the Godfather of grunge and a creator of a movement. While he touched the hearts of millions, the most important thing he is known for us is for being the greatest father and our hero.” His 14-year-old daughter, Toni, ended the speech stating, “His voice was his vision and his music was his peace … thank you to our mom – his love, his muse and his savior who continues to carry out our father’s legacy … this is for you, daddy, and we love you so much.” Cornell’s wife Vicky was also in attendance. This posthumous win signals Cornell’s third overall Grammy success. 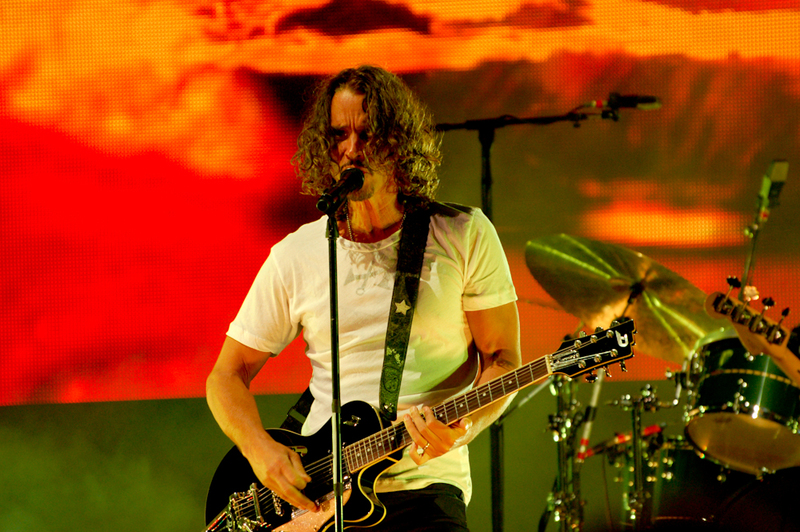 The former Soundgarden and Audioslave frontman was first nominated in 1990 with Soundgarden. He soon won two awards at the 1994 Grammys for Soundgarden’s “Black Hole Sun” (Best Hard Rock Performance) and “Spoonman” (Best Metal Performance).